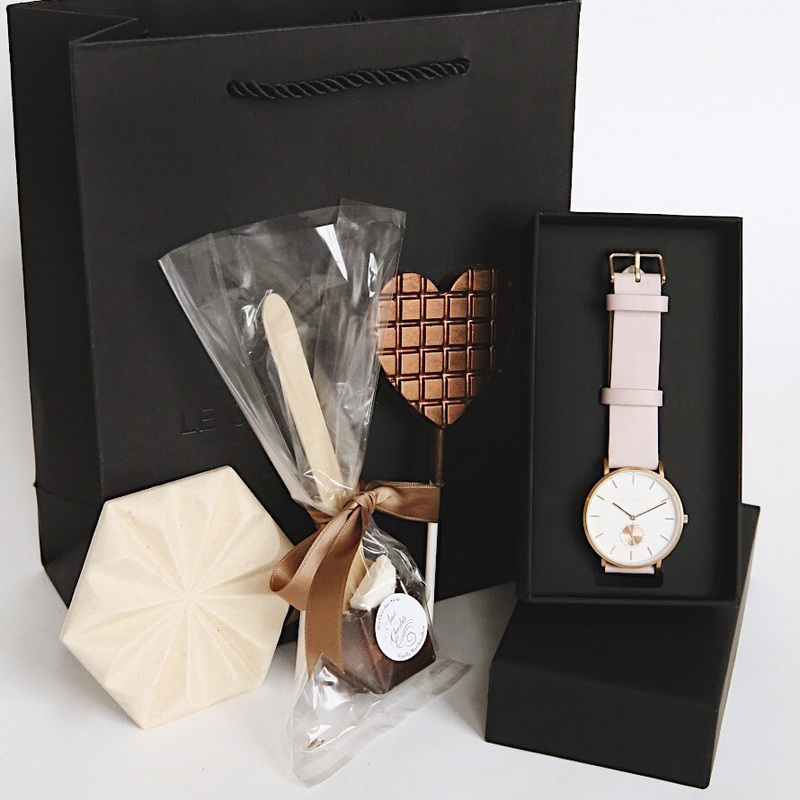 Amor & Chocolate x Le Coeur — Le Coeur Watch Co.
All chocolates are made at time of order. Valued at $17.50 - $39.75. Enjoy 10% off your Valentine’s Gift Sets with checkout code LOVEYOU when paired with watch. Not applicable to prior sales. Valid through February 11th. The Small Gift Set includes one rose milk chocolate bonbon box and heart lollipop. Made fresh at time of order; valued at $17.50. Select at checkout. The Large Gift Set includes one of each: square dark chocolate bonbon box, heart lollipop, ruby tablet, hot chocolate stick, rose bites. Made fresh at time of order; valued at $39.75. Select at checkout.